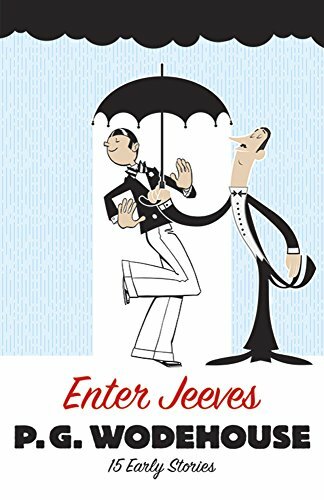 Born in England in 1881, Sir P(elham) G(renville) Wodehouse delighted generations of readers with his whimsical tales of the deliciously dim aristocrat Bertie Wooster and Jeeves, his brainy, imperturbable manservant. Many are unaware, however, that Bertie had a prototype — Reggie Pepper — who stumbled into the same worrying situations involving old school chums with romantic troubles, irate female relatives, threatening suitors, and other troublemakers. This is the only collection to contain the first eight Jeeves short stories as well as the complete Reggie Pepper series. Included are such delightful tales as "Extricating Young Gussie," "The Aunt and the Sluggard," Leave It to Jeeves," "Jeeves and the Hard-Boiled Egg," "Absent Treatment, "Rallying Round Clarence," "Concealed Art," and more. Awash in an eternal glow of old-boy camaraderie, these stories offer hours of delightfully diverting entertainment sure to recaptivate Wodehouse fans of old as well as tickling the fancy of new readers, who will soon find themselves caught up in the splendidly superficial antics of Messrs. Wooster, Jeeves, Pepper, et al. In the course of his long career, Sir Pelham Grenville Wodehouse (1881-1975) published more than 90 books, 40 plays, and 200 short stories, in addition to other writings. A century after their debut, his comic duo of aristocratic Bertie Wooster and all-knowing manservant Jeeves rank among Wodehouse's most popular creations.